means of protecting intellectual property assets from among the various federal, state and common law protection schemes. 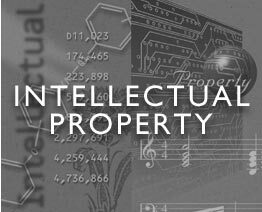 Put simply, patents protect the embodiment of an idea, copyrights protect the expression of an idea, and trademarks identify the source of goods or services. Each approach has advantages and disadvantages that need to be carefully evaluated in the context of the particular needs of the inventor, company or institution. A patent is a government grant of "exclusionary rights" for a specified number of years. There are three types of patents. A utility patent is for new and useful processes, machines, manufactured products, and compositions of matter (including chemical compositions, new organisms and the like). A design patent is for the ornamental design of a useful object. A plant patent is for a new variety of living plant. Contrary to popular understanding, a patent is not a grant to practice the invention, design or plant cultivation; the grant focuses solely on excluding the acts of others. A trademark or service mark is a word, number, design, logo or a combination of any of these, that is used to identify the source of goods or services. By definition, trademarks and service marks are used in commerce in conjunction with goods or services offered for sale to others. Though registration is not always required, many valuable rights can be secured by registering trademarks and service marks in the region where the marks are used. Books, plays, software, music, sculptures, paintings, prints, photographs, motion pictures, recordings, architectural works, and other tangible forms of expression of an author or artist are protected by copyright. A copyright arises at the moment of creation, and prohibits the copying of a work without authorization by the author. Copyright does not protect the ideas or concepts which underlie the work; it protects only the manner in which the ideas and concepts are expressed. In some countries, including the United States, registration may be required before the copyright can be enforced. Integrated circuit masks and the products made from them are protectable under the Copyright Act as "mask works" and "semi-conductor chip products." Registration within two years of first commercial use is required to obtain protection. Generally, a trade secret is information that is both "secret" (not generally known in the trade or readily discernible) and commerically valuable to its owner. Typical trade secrets include secret recipes, compositions of matter, formulas, processes, patterns, devices, or compilations of information such as customer lists and business plans. Trade secrets can be lost when the owner does not protect the confidentiality of the information, or when a third party independently develops the information and makes it public. Trade secrets are primarily protected under state law. However, the Federal Economic Espionage Act of 1996 (EEA) makes criminal the interstate theft of certain trade secrets.